Hi Friends! 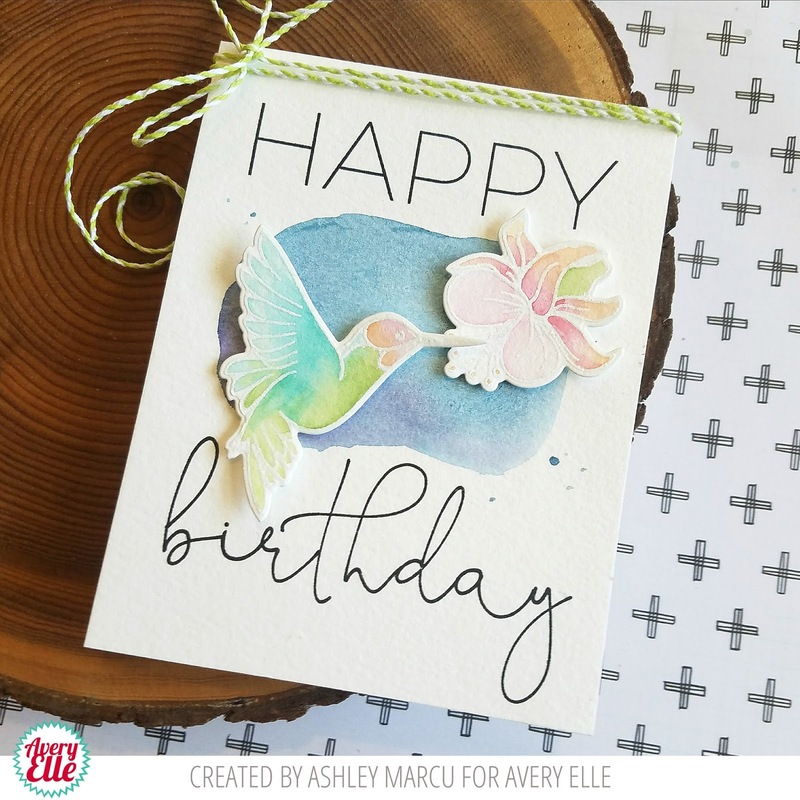 Ashley here today sharing the super pretty Hummingbirds stamp set! 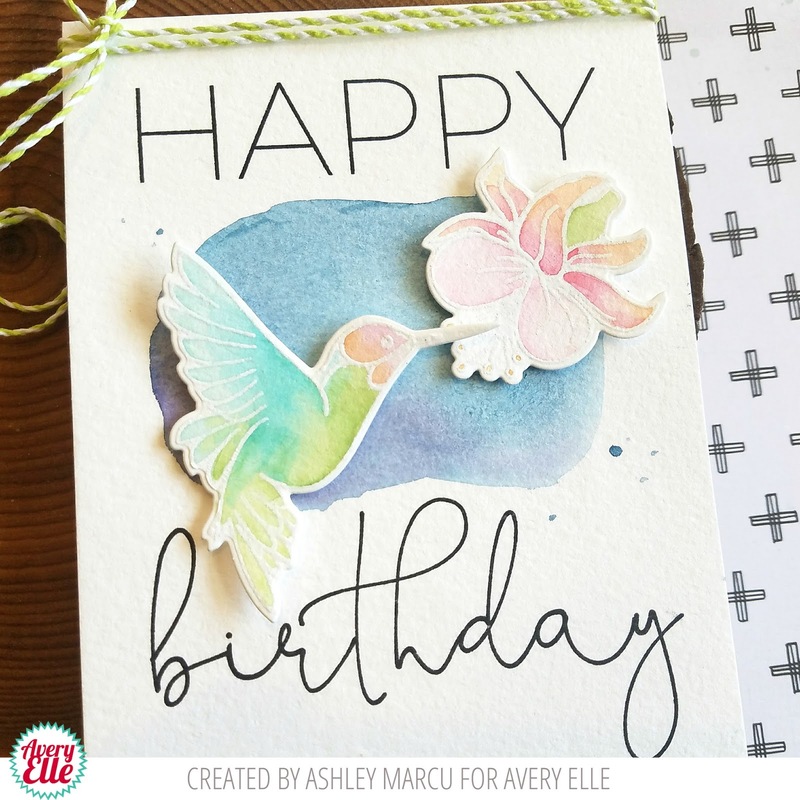 I can't get enough of the liquid water colors so I started by embossing several images from the Hummingbirds stamp set. Next I just played with the water colors and the images, blending several of the colors on the bird and flower. 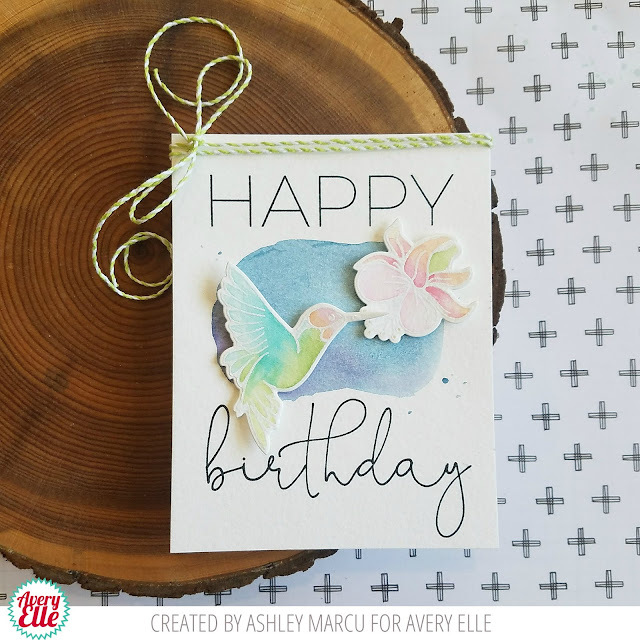 I love the big sentiments in this release so I decided to stamp the big "happy" and "birthday" from Big Birthday I finished the card with a little more water coloring and twine. So soft n airy colors !